Over 300 people attended the Opening on Friday 11 December. A further 190 people attended the exhibition over the next 12 days. The people at the Opening included a mixture of art collectors, sponsors and their business associates, art writers, local business people and residents, plus friends and family of the artists. Curators from the state Art Gallery of WA and Kerry Stoke’s Collection came to see the exhibition. At the Opening Simon Ambrose, CEO of the Film & Television Institute, welcomed the public, acknowledged the sponsors, before welcoming David Bromfield, Art Critic of The West Australian, to officially open the exhibition. After the official opening the lights were dimmed for artist Diokno Pasilan’s intriguing performance artwork. The result of these was a very pleasant atmosphere during the Opening, which lasted past midnight. 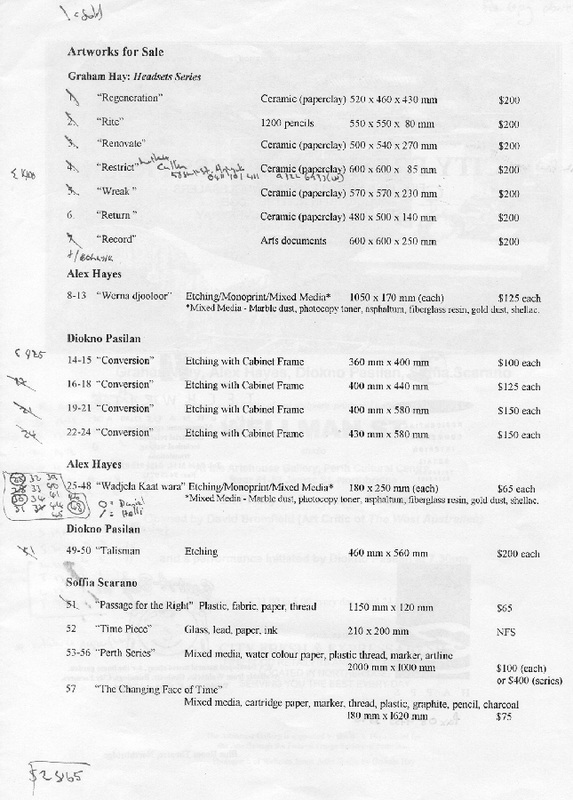 As indicative of the positive ethos, half of the exhibited artworks were sold and many people took time to leave positive comments in the visitors book. 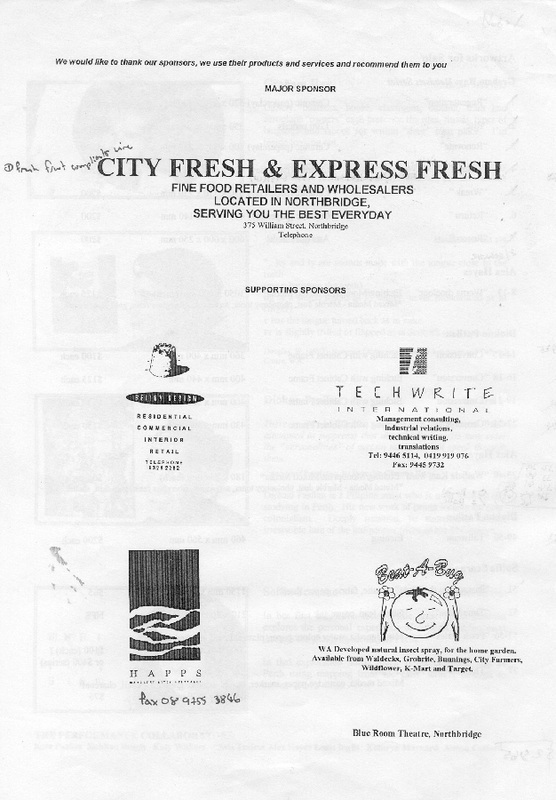 In addition, the artists received commissions for at least one artwork and a range of new clothing materials, an invitation to run a workshop, and an invitation to submit a design for a mural for His Majesty’s Theatre parking complex project. McGrath, J. 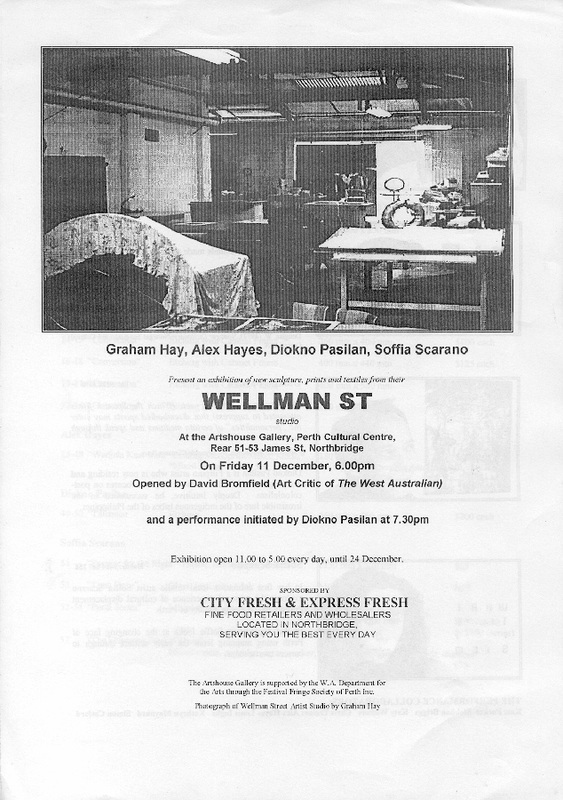 (1998), Review: Wellman Street at ArtsHouse, At website: http://www.artseeninwa.com/wellmanst.html"